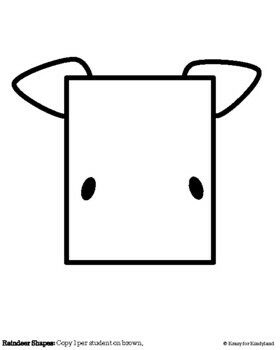 As you study shapes this winter, students create these sweet little reindeer shape crafts. 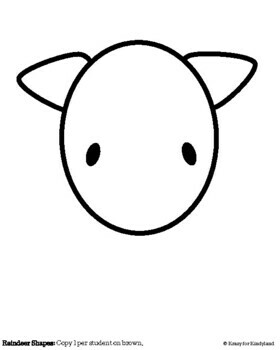 Who'll Pull Santa' Sleigh Tonight? 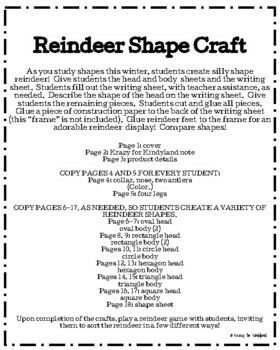 COPY PAGES 6-17, AS NEEDED, SO STUDENTS CREATE A VARIETY OF REINDEER SHAPES. 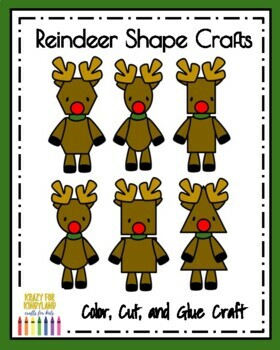 Upon completion of the crafts, play a reindeer game with students, inviting them to sort the reindeer in a few different ways!